On Oct. 7, 2017, Hannelore Hanover became the fastest trotting mare in history with an awe-inspiring 1:49.2 win at Red Mile. It was an achievement owner Frank Baldachino had predicted long before she kicked off her 5-year-old campaign. “I might be reaching a little bit, but I think if the weather’s right and the fractions are right, she could be the first mare to trot under 1:50,” he said in the March 2017 issue of Hoof Beats. When the morning of Oct. 7 arrived, however, Baldachino had little hope it’d be the day she’d prove him right. 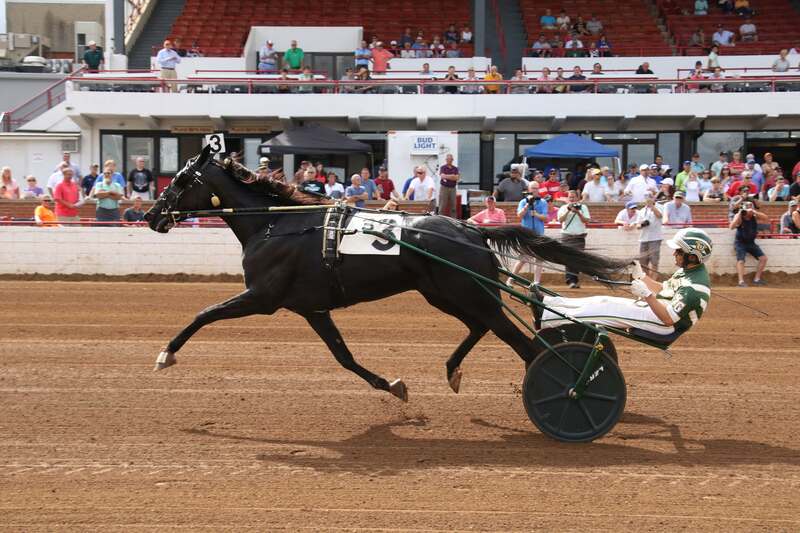 When the mare headed out for the post parade for the $136,000 Allerage Farms Open Trot, it was overcast and 80 degrees–not one of the hot and humid Lexington days known for producing sizzling speed. It was also the mare’s first start without shoes – a decision made by trainer Ron Burke. When the gate folded, I Know My Chip rocketed out of post 9 in a bid to reach the front end as Hannelore Hanover settled in a comfortable third. As the timer lit up with a 25.3 first quarter and a 53.2 half-mile, Baldachino said he started to get excited. As Hannelore Hanover tipped out behind Crazy Wow at the three-quarter pole, he knew the day had come. That perfect day was just one of the highlights of Hannelore Hanover’s incredible 2017 season. The daughter of Swan For All – High Sobriety raced 17 times, winning 10 races and $1,049,129 in the process. It was the second consecutive million-dollar season for the talented mare, who’d ended her 4-year-old campaign with 17 wins and $1,119,111 in earnings. Baldachino co-owns the two-time Dan Patch Mare Trotter of the Year with Burke Racing Stable, Weaver Bruscemi and J&T Silva Stables. Hannelore Hanover is poised to again headline the ranks of the older trotting mares in North America in 2018. She is expected to start the year with a visit to the breeding shed, however, as her owners plan to breed her to Southwind Frank. An embryo transfer will enable a surrogate mare to carry the foal so Hannelore Hanover can return to the racetrack. “We’re going to be aggressive and try it,” said Mark Weaver of Weaver Bruscemi. Though she’s now a household name among harness racing fans, Hannelore Hanover started her career as a successful Indiana Sire Stakes performer. She didn’t gain national attention until 2016, when she went from winning the Open Trot at Hoosier Park to the Grand Circuit, winning such mares-only races as the Breeders Crown, Armrbo Flight, TVG final, Muscle Hill, Miami Valley Distaff, and Fresh Yankee. If beating top mares like Bee A Magician and Shake It Cerry wasn’t enough, she also won some open events, including the Hambletonian Maturity at Meadowlands and the Centaur Trotting Classic at Hoosier. Hannelore Hanover’s connections had high hopes heading into 2017. After a winter vacation in North Carolina, Hannelore Hanover qualified in April before making her first start of the year in the $86,400 Miami Valley Distaft. Regular pilot Yannick Gingras guided the mare to a close second-place finish behind Charmed Life. 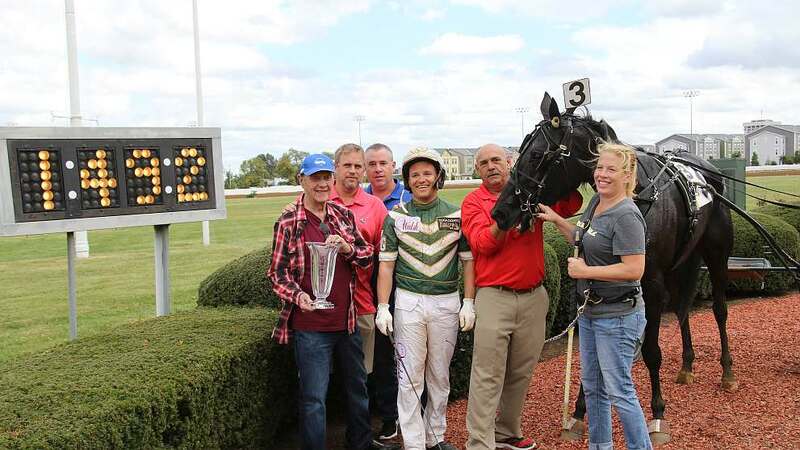 The mare found her way to the winner’s circle two weeks later when she traveled north to Mohawk Raceway for a leg of the Miss Versatility, easily besting a field of high-level trotting mares by more than five lengths in 1:52.4. That victory would mark the start of a four-race win streak. After triumphing in her Armbro Flight elimination easily June 9, Hannelore Hanover went to the gate as the favorite in the $184,690 final a week later. As he so often does, Gingras guided the mare to the front. After taking the lead from Emoticon Hanover just past the quarter pole, Hannelore Hanover led the field seemingly effortlessly, setting fractions of 56.1 at the half and 1:24.1 at the three-quarter pole before drawing away to win in 1:51.4. With the win, Hannelore Hanover became just the second mare to win back-to-back Armrbo Flight finals, a feat last accomplished more than a decade ago by Peaceful Way. In July, the mare treated fans to an eye-catching performance at the Meadowlands in another Miss Versatility leg. Starting from post 2, Hannelore Hanover took a seat third before Gingras moved her to the front after the 27.3 first quarter. After hitting the half-mile mark in 55 and the three-quarter pole in 1:23.1, Hannelore Hanover drew off, crossing the wire in a career-best 1:50.3. 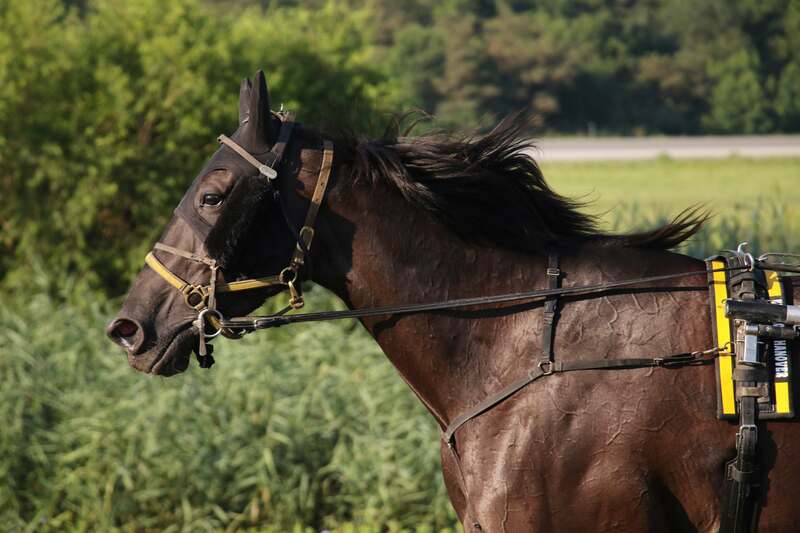 Two weeks later, Hannelore Hanover traveled north to Plainridge Park for the $242,500 Spirit of Massachusetts Trot. As fellow Ron Burke trainee Crazy Wow battled Resolve for the front, Hannelore Hanover sat third much of the mile before Gingras pulled her to the outside past the half. In the stretch, however, old rival JL Cruze came quickly up the inside to beat Hannelore Hanover by a length in 1:51.2. 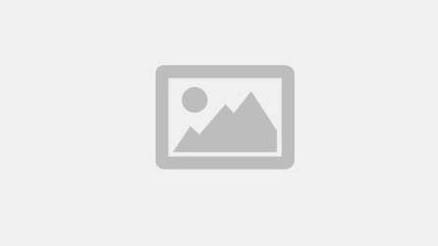 A week later, the mare gave her connections a rare disappointment, tiring to finish fourth in the Dr. John Steele Memorial on Hambletonian day at the Meadowlands. On Aug. 27, the mare bounced back to finish second to Emoticon Hanover as that mare set a world record of 1:50.2 for 4-year-old trotting mares on a five-eighths-mile track with her victory in the Joie De Vie at Tioga Downs. After Hannelore Hanover won her Maple Leaf Trot elimination easily in September, Baldachino traveled from his home in New Jersey to watch the mare compete in the $486,260 final. Fans were eager to see Hannelore Hanover—who finished second to Resolve in the 2016 Maple Leaf Trot—attempt to beat the boys as she joined JL Cruze, Homicide Hunter, Mambo Lindy and six others behind the gate. She didn’t disappoint. After making a bid for the lead at the half, she never faltered, winning by more than four lengths in 1:51.1. After failing to repeat in the Centaur Trotting Classic with a second-place finish, Hannelore Hanover finished seventh in the Dayton Trotting Derby, missing her only check of the year. “She didn’t seem to get around some tracks as well,” Baldachino said. That rare seventh-place finish, paired with overcast skies and Burke’s decision to try the mare without shoes, led to Baldachino’s uncertainty regarding the mare’s chances at setting a record in the Allerage Farms Open Trot Oct. 7. Looking back, Baldachino said the race played out in the mare’s favor. Gingras offered similar comments as he returned to the winner’s circle after the 1:49.2 win. Hannelore Hanover went on to finish her 2017 season much as she did her 2016 season, with wins in the $175,000 TVG event for trotting mares and the $526,250 Breeders Crown—but this time the Breeder Crown Open Trot. Several of her owners traveled to Hoosier Park for the Breeders Crown, one of harness racing’s premier events. They were thrilled to watch her yet again beat the boys, trotting a last quarter in 26.4 to cross the wire in 1:52.1 ahead of the best trotters in North America. Stablemate Crazy Wow finished second while Marion Marauder and Pinkman rounded out the top four. “When she beat the boys that night, that stood out for me,” Weaver said. After 35 years in harness racing, Baldachino said he can appreciate just how lucky he and his partners are. While there has been talk of a trip to the Elitlopp in Hannelore Hanover’s future, Weaver said it’s unlikely, particularly since her owners have decided to try and breed her this year. He said the idea of breeding the mare and doing an embryo transfer, something suggested by several people, is meant to give her another year to race, but will also show confidence in Southwind Frank. Weaver does not expect Hannelore Hanover’s racing schedule to be affected, as she’ll be bred early in 2018 and will have the embryo transferred to a surrogate mare just days later. “It’s like having our cake and eating it, too,” he said. Both he and Baldachino are eager to see the mare return to the racetrack. Baldachino visited her at Burke’s barn at Gaitway Farm in New Jersey shortly after she got back from turnout in North Carolina.